Touristic 3 star campsite with bounded and shaded pitches on a flat ground at 5 Ha domain Seine et Marne (77) in the South of Ile de France. Our campsite welcomes international guests in a nice family atmosphere from 23 March to 28 September 2019. We offer free Wifi. This is the place to be for nature lovers, next to the state-owned forest Fontainebleau famous for its climbing tracks, canoe on the Loing and mountainbike tracks. For other trips, you could visit the Fontainebleau castle and the Vaux le Vicomte castle, or Grand Parquet which makes Fontainebleau a horse capital, Seine and loing confluence for those who like fishing, and in the bigger area Paris and Eurodisney. 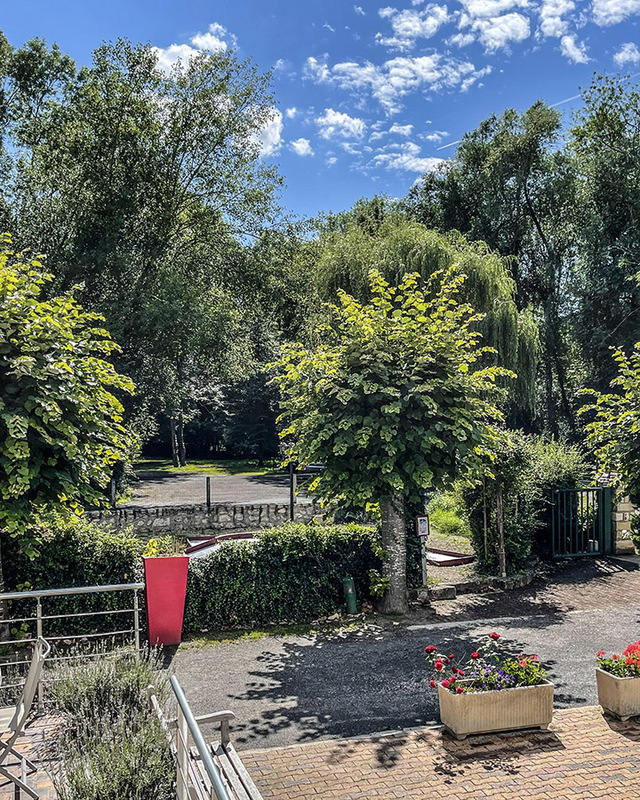 Our campsite is situated at Veneux les Sablons, municipality next to the pictoresque XIVth century village of Moret sur Loing, in particular known for the impressionnist painter Alfred Sisley. You will find us at 6 km South of Fontainebleau getting along the Obélisque crossing next at the side of the castle and the huge horse stables, after having crossed a part of the state-owned forest by the RN6 road in direction of Montereau Fault Yonne et Sens.